Whats the “magic word” ? A close friend once asked me, “Is there a formula to make money?”, “What is it that successful business people know, that I don’t?”, “What’s the magic word to make my business successful?”. For some of you these questions may seem naive, however, for a would-be entrepreneur or someone stuck in a downward spiral in a business, these questions are always on one’s mind. I won’t try to answer these questions, no, that should be left to the Reed Hastings, Jeff Bezos and the Bloombergs of the world. I will however, try to synthesize the patterns that I’m observing between the successful entrepreneurs I’ve read about, those I’ve briefly met and those that I have had the privilege of learning from in classrooms over the years. While I was studying how to design products with a human centered approach, I wondered how can such a paradigm be followed in a big, opaque, hierarchical, process centric organization? At that point, my concern was only with the “product” and not the “business” in its entirety. How do you understand the end-users, purchasers orinfluencers of your product in an organization that locks away its designers in silos away from them. The short answer, you can’t. You can hope to get a representation of these customers, lets call it the “Average customer“, in the form of high level personas, but you’ll most likely miss out on the variations in the customer behaviour, which in the long run can make or break a product. It’s a Thought Process change..
It’s really difficult the get the bigger picture by focussing only on the product/service; You need to look at the business in its entirety to really understand the various cogs that make the system run, or jam up. You need to put on different “lenses” (like in the movie National Treasure, oh I wish I could get my hands on one of those). 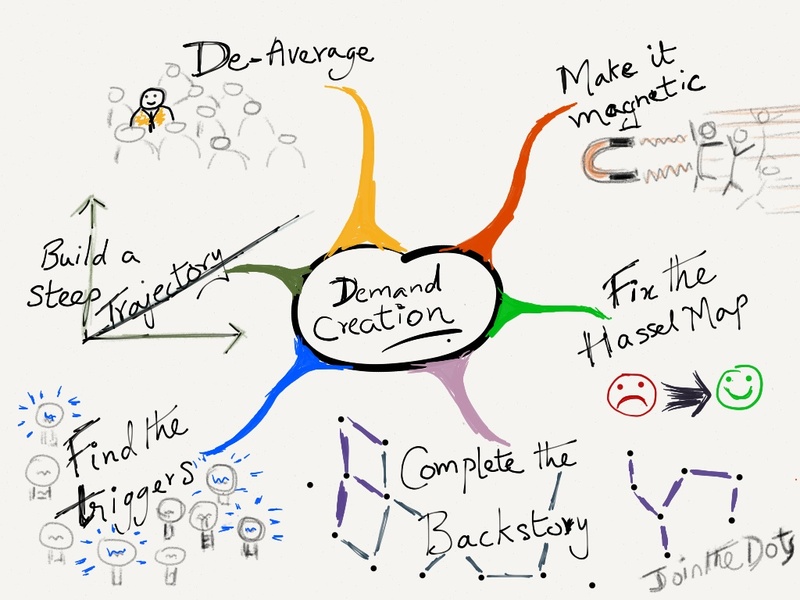 Slywotzky’s “Demand” attempts to provide those lenses in the form of the “Six Pillars of Demand” – Magnetism, Hassle Maps, Backstory, Trigger(s), Trajectory and Variation. It’s important to understand that this isn’t an attempt by the author to pull meaning out of thin air, or provide that winning formula that will work for anything in the world out there; In fact, the stories he tells to explain each of these lenses, show how circumstantial and unique each one of those businesses are, and yet there seems to be a common theme between them, their customer centric thought process, almost obsessiveness towards perfection and unyielding desire for improvement. I believe that instead of thinking about a formula (the analytic side of your brain), we need to master the thought process of a sculptor, an artist who will try something first and then see how it turns out in retrospect and then try to improve it based on real evidence. In words of David Robinson, “Try to experience (it) first, make sense of it later”. Netflix is the best example of this; Reed Hastings, wanted to fix his own hassle of forgetting to return a movie rental on time. He had an idea that what if you could simply mail the dvd back to the shop? He went out and tried it by sending a few discs via the US postal service to himself. This lay the foundation for one of the most intriguing use of existing delivery network, and ingenious envelope design. The learning is that if you have an idea on how to fix a hassle, go and try it out with whatever resources that are available at the time, instead of trying to re-invent the wheel to carry your idea forward. Great. But it won’t work for my business. Will it? Why not? Is it because your business is really spread out and you feel that spending resources on doing such user research might by an overhead? Read Nespresso’s story, a small product idea, budding inside a business giant. It’s fascinating how they kept trying to find that one “Trigger” that would increase the demand of this niche appliance. It turned out, it wasn’t just one, but several triggers, that needed to be tried and tried again to successfully generate more and more demand. If you feel that your business does not have an end-user(consumer) for you to conduct research on, there’s always the other businesses that you’re dealing with who become your customer. Then identifying the customers’ customer becomes key. To Take another example, TetraPak, their demand creation strategy is so stealthy, most of us don’t even know that we may be consuming food packaged by them. Their problem, people in the North American continent did not find the tetrapak milk, or juice products as appealing as their European counterparts did. The reasons are buried in the socio-economic differences, which came down to a simple preference of “refrigerated” vs “fresh” food items. So how do you capture a demand, where the consumers in one part of the world don’t yet understand the benefits. You try to capture the distributer’s (their customer) demand who supply to the retailers (customer’s customer) and finally ends up with the consumer (customer’s customer’s customer). Yea, but I’m no Steve Jobs! I don’t believe that one needs to be Steve Jobs, maybe we can’t be. But by looking through these lenses, and keeping the customer at the center of the enterprise will give you the edge over others who are product centric or process centric. Another important factor here is not to try to re-invent the wheel and use what resources are available out in the world. …is that it can seem very vague, the way entrepreneurs behave when faced with decision points or how they work through those decisions to eventually a successful story. However, if you look closely at each story, at the decision points, and the circumstances, there is ambiguity, but not vagueness (oh yea, there is a difference between the two). And from what I’ve observed so far, entrepreneurs thrive in ambiguity, in fact they seek it out, like not settling for the “average customer” myth and finding out the variations between different customer segments and trying to find ways to serve them. Every entrepreneur’s story is going to be unique, any this synthesis is just my understanding of demand creations; This understanding is bound to change again someday, but I guess that’s the whole point. The quote from the first chapter is simple and clear, and the moment I read it, I remembered the experiences I had working in various teams at ThoughtWorks. Yes the teams were multidisciplinary in the sense that every individual had a set of core skills that would directly contribute to the end deliverable to our customers, and yet there was always something more. I could never truly articulate what it is that made working with those teams so much fun. No idea would ever be shot down during a brainstorming session, we were noisy and extremely expressive, and yet, would always listen to the other’s point of view, and then try to view the world from their perspective, leading to another flurry of loud exclamations, joy and at times epiphany moments. They were interdisciplinary teams, where a visual designer isn’t afraid to participate in a monetization brainstorming exercise with a marketing expert, a business analyst, lead quality control and a developer. Tim Brown accurately explains the need for teams to be “interdisciplinary” rather that just “multidisciplinary”. The key to such a interdisciplinary team is the “T”-shaped person , made popular by McKinsey & Company. The vertical axis represents the depth of knowledge a person posesses, whereas the horizontal represents the willingness to accept ideas from other disciplins as well. Tim Brown refers to this as having the “breadth to collaborate” in a truly interdiciplinary team. The first time I was in a brainstorming session four years ago, I remember thinking, “How can a group of people ever agree on one thing, will that one thing be the right thing? or just the popular opinion?”. GroupThink, it turns out, is that phenomenon that could constrain creativity among groups. However, as I read the next sections in the book, it became clearer that groupthink is harmful when decisions are made by the group without considering the opinions of every member, without being “empathetic” about others’ perspectives. And Tim Brown argues that, Design Thinking should help foster creativity rather than constrain it. He argues that people should have the freedom to fail. I remember this as being one of the core tenets of being a ThoughtWorker, to “Fail Fast”, where the culture doesn’t need “permission to fail, rather allows forgiveness afterward”. The environment needs to be able to support such teams, we can’t drop “T” shaped people in the corner of a multinational company, lock them in a room, and say “just do what you can do”. We need to inculcate these ideas into the foundations of organization, allowing such people to interact with other disciplins, only then can the benefits of Design Thinking emerge. Though what about remote collaboration? Technology has advanced to allow for “telepresence” encouraging distributed teams to engage each other at any point in time. However, as quite rightly pointed out in the book, nothing can replace the physical aspect of being present face to face, making the space available into the “team space”. Post-its and various sketches stuck all over the place, and all the assets visible to the team, allows for easier synthesis of ideas, rather than them being stuck in excel sheets and powerpoint presentations. Technology has advanced, but is not yet better than physical presence for such collaborative activities. There are a few examples though who have tried to bridge this gap. Cisco’s “telepresence” system attempts to make it happen. Certain web based brainstorming and retrospective tools like “IdeaBoardz” allow quick collection of ideas, based on which a telepresence meeting can be called for. How can an interdisciplinary team be formed, can we simply find those “T” shaped people, mix and match different core skill-sets and put them all together? Or is there some method to this madness? It turns out, based on research conducted at the Stanford University, that to make a team truly productive and efficient which would not only yield results, but also work well together, we need to match their personality types along with skill sets. The basic principle is that the more psychologically diverse a team’s personalities are, the higher the chances of success. Personality information is determined by using the famous abbreviated form of Myers-Briggs Type Indicator. I was introduced to this concept recently during team allocation process for a grad school project by my professor. He was inspired by the work of Doug Wilde and his book “Teamology”. We took two personality tests – Jung Typology test and Social Styles Inventory, which would yield an abbreviated Myers-Briggs Type Indicator along with the Social Style. This information from each individual allowed the professor to form teams with all necessary personality types. Our team is extremely diverse not just culturally but also in terms of personalities. The fact that each of us knew the other’s “personality type”, made it easier to set the expectations within the team. As weeks went by and we as a team went through dozens of discussions, arguments, debates and epiphanies together, I realize how well we work as a team. At the end of the day, we are churning out information, analyzing and implementing much faster than we would individually. As one of my team-mate puts it, “Individually we can’t do as much as we can achieve as a group”. We have developed an openness to opposing opinions, which, I feel has been one of the best learnings thus far. Certain interfaces are extensively complex, due to the sheer number of activities that are going on sequentially or in parallel. 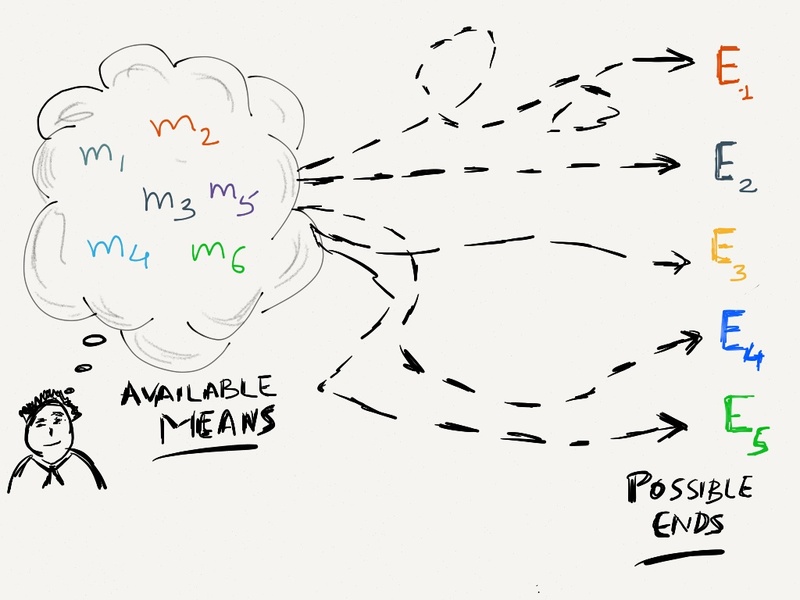 I always imagined that all complex systems with even more complex interfaces can always be simplified.I have always believed that there is a simpler way of modeling an activity no matter how complex the system is. But I never thought that a system as complex as a Flight Management System (FMS for short), can be simplified any further. I was pleasantly surprised though, while I read the article “Towards an Improved Pilot-Vehicle Interface for Highly Automated Aircraft: Evaluation of the Haptic Flight Control System” by Paul Schutte and Kenneth Goodrich from NASA Langley Research Center. 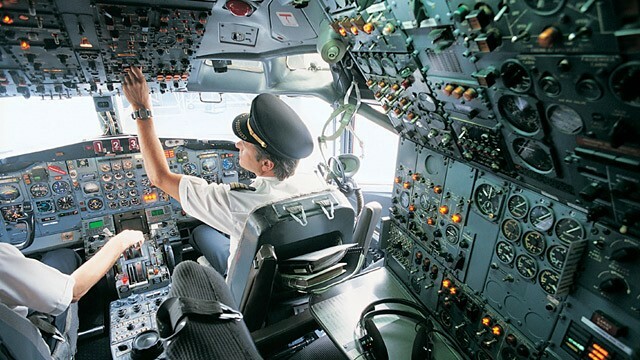 Given the number of switches and dials to operate, the manual mode may be prone to human errors, some of which could be the result of badly designed cockpit interfaces. These “breakdowns in human factors and human centered design” is obvious for the manual flight, but how can the fully automated flight be susceptible to the same design flaws? While reading this article I couldn’t help but think about the keyword “Situational Awareness” and in where in the world of software products for the masses would it apply. A while back I was working on a redesign for a call-center intranet based web-application, and the ‘users’ were the call-center employees who had to balance this legacy, complicated screen in front of them (with a dozen radio buttons, twenty odd select boxes and tonnes of other interface elements crying for attention), while answering the calls, understanding the callers requests and feeding that into this system or querying for related information at the same time. With on-site observation and interview data at hand, we knew that at any given point during a call, the employee needs to be fully aware of what information the phone system is feeding the app as what information the caller is giving at the same time. We had to ensure that appropriate cues were in place which would help the user be aware of what information is flowing and when. The HFCS system claims to improve the situational awareness of the pilot, along with other parameters like appropriate workload, graceful degradation and improved pilot acceptance. It was really interesting to see how the authors used the perspective of ‘languages’ and ‘interfaces’ to frame the problems that were faced by the pilots and to illustrate how the human factors breakdown.’Language’ here is simply how the pilot will command the aircraft. So one of the languages is to manipulate the aircraft orientation and propulsion. The pilot will use certain ‘commands’ like ‘pitch-up’ or ‘bank-left’, and the interactions for instance, would be to pull back on the stick to pitch-up. Framing the problem this way provides an easier way to visualize and then apply a solution to the problem at hand. The fascinating part is that even though they know that this new system might be heavier on the “workload” for the pilot due to increased situational awareness and regular intervention, they still want to see how the pilots react to it. The user observations that the authors conducted provide better insights into where HFCS is better than the manual and FA systems, and where it has limitations. Even though the limitations exist, it is important to observe the interactions with the system to understand what can be done to improve it.